home | author bios | testimonials | cd breakdown | podcasts | blog | contact | buy now! Ahhh yes…pictures. One of the more commonly understood realities and requirements of being a professional actor. The problem is, it really isn’t understood…at all. As a matter of fact since the entire “legit” aspect of acting went to color, and digital has become the standard along with web portals, online casting sites, jpg/tif files and many other issues. This is in conjunction with the simple difficulty of the process of choosing a great photographer. Once you finish listening, you’ll not want to miss any in the future. Another common mistake made regarding the profession of acting…is that commonly it is not respected, as a profession. This could not be more true when it comes to the concept of Commercial acting and the Commercial audition process. Carolyne and Kevin give you key insights to the reality of what it means to audition, the level of competition you face, as well as insights on the types of feedback you may get during the audition process. From potential money made, to contractual jargon this is a must listen. And to even take it one step further you get the bonus of artistic choices, taking direction in the room and other options. While studying and training is usually a given in terms of philosophy, the truth is most actors don’t spend much time or research on the paramount decision. Kevin and Carolyne discuss not only various types of training but many of the errors actors typically make when choosing an instructor. The invaluable insight offered by our two outstanding experts will help ensure that the next time you look to training, you’ll make a much more educated decision. Now Carolyne and Kevin get rolling into the truth and reality of the initial decisions you make once you’ve arrived in Hollywood. A lot of these decisions have to do with who you study with, and why, listening to who and why, as well as realizing that the challenges of the city are simply a reality for everyone. If you let it get to you, or allow it to control too many of your decisions, then you are by definition… cutting yourself short… of what a real career could be. Happy Thanksgiving and welcome back to the GTJ blog, and our on-going conversation about the exciting world of professional commercial, film and television acting technique. We strongly recommend that you listen and enjoy our podcast series to hear the GTJ authors chatting about both the industry and the purpose behind the creation of the GTJ 2-CD set. Many of our posts will be related to expertise, because of how important it is that the advice you get regarding our profession comes from an intelligent and current source. We cannot stress expertise enough in our quest to assist you with your career. The actor/performer aspect of the entertainment industry is hands down the least accurately educated profession of any in our country. If you think it really doesn’t matter because, well, it is just “luck” or it is a “lottery ticket” industry, or whatever your reason, we need to be sure and remind you… yes it does matter. The old cliché holds true: Knowledge is power! The more you know, and in acting, the more you know from trusted sources—it is an absolute advantage. We have more than 50 years of Los Angeles knowledge that span 4 decades. We encourage you to make reading our blog a monthly habit. Have a great remainder of the Holiday season. 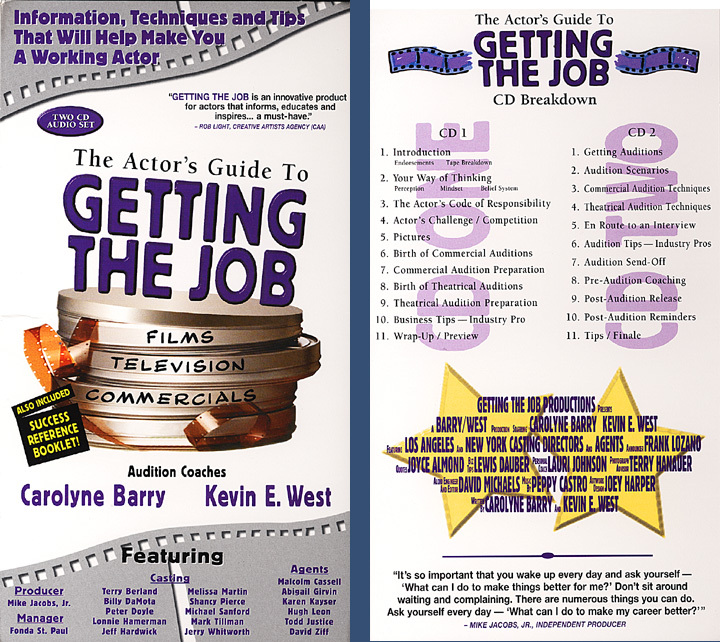 Welcome to The Actor’s Guide to GETTING THE JOB blog. We are so happy you found us! As it is with our 2 disc audio set, this blog is here to help increase your booking rate and expand your knowledge, awareness and understanding of the commercial and theatrical acting world. From this point forward we will be referring to our 2-CD set as “GTJ” so do not be thrown by that. Visit the GTJ blog on a regular basis to read posts from the authors of Getting the Job as well as guest posts from industry professionals who can help you become a more proficient professional, in a shorter period of time. 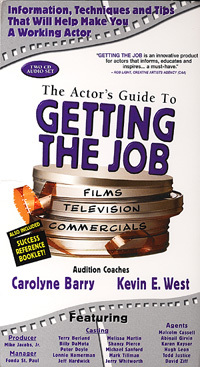 Additionally, if you review the Author bios you’ll learn that both Carolyne and Kevin have their own companies: Carolyne Barry Creative and The Actors’ Network. Throughout our blog we will commonly refer to those entities as CBC and TAN… so again, don’t be thrown by that. Thanks, and we’ll be talking to you soon! The first installment of the GTJ podcast series focuses on two main aspects. First, we introduce our two authors Carolyne Barry and Kevin E. West. We want you to get a sense of who they are, how they came to be a team, and the evolution of this CD product… as a project. 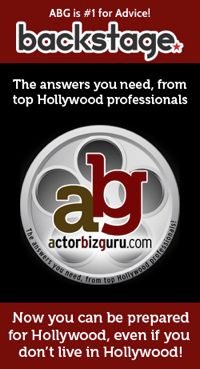 The first subject our two esteemed authors cover relate to the common mistakes that actors make upon arriving in Los Angeles. One of the great aspects of this podcast is that these can also tend to be common mistakes made in any city, by any actor. Any actor like any other person is subject to temptation. Gambling is one such temptation. In the era of high technology, you can access the online casino bonus codes atlas-conferences from any mobile phone. Booking tips and expertise from Industry Pros!